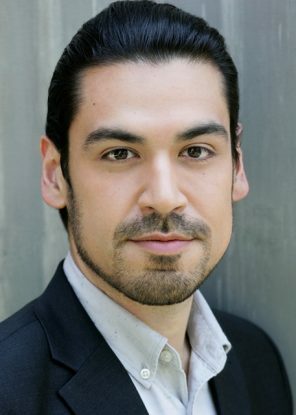 Praised for his “expressive, resonant voice” (Sun-Times) and his “powerful, beautiful and well controlled sound” (Opera Lively), bass-baritone Richard Ollarsaba returns to Wolf Trap Opera having debuted last season in the role of Fallito in Gassman’s L’opera seria. He is a former Resident Artist at Minnesota Opera, where he performed in productions of Nabucco, Anna Bolena and Turandot. He returned to Minnesota in the role of Escamillo in their 2015 production of Bizet’s Carmen, a role he had previously debuted with Tulsa Opera. A 2013 Grand Finalist of the Metropolitan Opera National Council Auditions, Mr. Ollarsaba is also a former ensemble member of the Ryan Opera Center at Lyric Opera of Chicago, where he sang in productions of Otello, Madama Butterfly, Parsifal, La traviata, Anna Bolena, Tosca, The Passenger, and stepped into the title role of Don Giovanni.